Regular maintenance and repair is the secret to a high-performing fleet. Custom Quip Engineering provides as-needed or contract services for a wide range of agricultural and industrial trailers. Our team of expert mechanics are trained in the latest methods in hydraulics, pneumatics, and electrics, so you are assured top-tier service each and every time. We work on your trailers in our state-of-the-art CQE workshop in Perth. Old or damaged trailer parts wear down your vehicle and cause unnecessary downtime. If your trailer is always broken or underperforming, some parts might need to be replaced to keep your trailer working like new. Protect your investment with Custom Quip Engineering’s trailer spare parts. Our CQE workshop stocks a wide range of replacement parts from the most popular brands. We make sure that we only use high-quality, authentic trailer spare parts to ensure long-lasting performance. Our quality control ensures that each spare part you get from us is at optimum durability and safety. Your trailers work almost as hard as you, carrying a variety of heavy loads and materials every day. Over time, your trailer can accumulate rust, dirt, and grime. 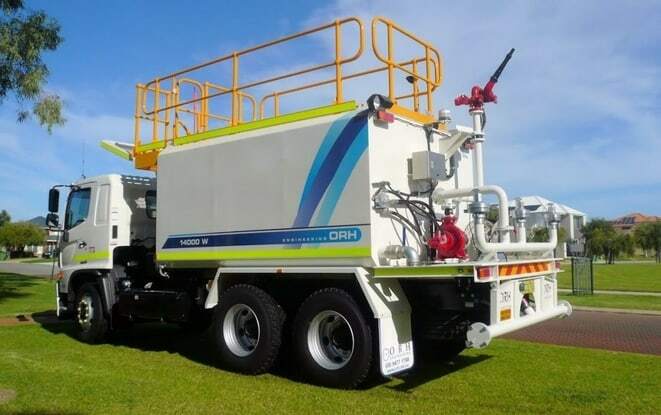 Our Custom Quip Engineering trailer sandblasting services in Perth are a fast, thorough, and safe solution to your equipment cleaning needs. Sandblasting can get rid of tough build-up in just a few hours, plus it also helps protect your trailer against corrosion, disinfects it from hazardous and volatile chemicals, and gives it a finished, premium look. Why have your trailer repaired or serviced by Custom Quip? Custom Quip Engineering started out as a designer and manufacturer of agricultural, industrial, and heavy equipment. So trust us when we say that we know trailers, inside and out. We offer exceptional, professional trailer repairs and maintenance that you can rely on. CQE’s complete fleet maintenance and repair services are guaranteed to fix problems and prevent major issues down the line. Get access to our wide network of trained expert mechanics that will get your trailer feeling like new. We offer a warranty on all our high-quality parts and services, so you’re covered even after you drive out of our shop. Stop wasting time and money whenever your trailer breaks down. We know that any downtime costs you money, so we make sure we work efficiently and effectively to get you back on the road as soon as possible. Custom Quip offers outstanding trailer repairs, spare parts, and maintenance at a competitive price, depending on your budget and your needs. Never settle for second best. 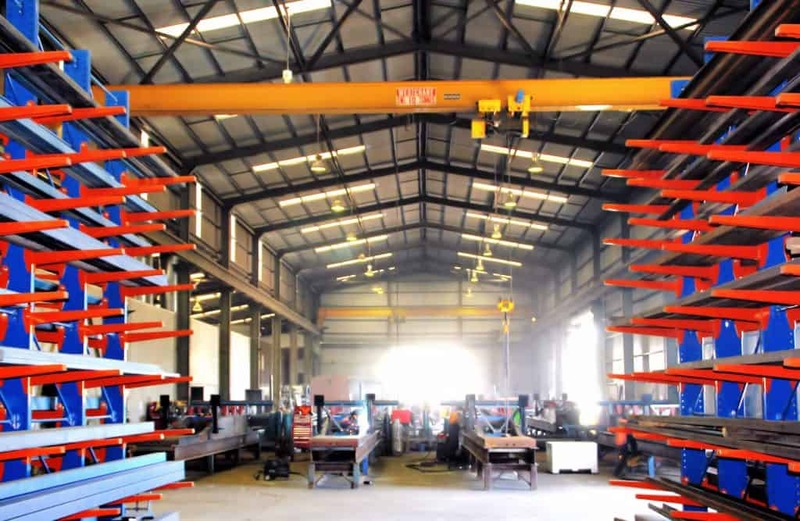 Custom Quip Engineering is one of Perth’s leading equipment manufacturers and maintenance providers. All of our parts and services comply with strict Australian standards for quality and safety. When your trailer is broken down and in need of repair, call Custom Quip Engineering. Contact us today at (08) 9258 9688 oradmin@customquip.com.au for a free quote on our services. Custom Quip Engineering has the biggest range of end tippers available in Western Australia, and they’re all manufactured locally on our own West Australian factory floor. Our tippers are great for transporting building and other high-impact materials with fast and attentive unloading times. End tippers are often utilised for carrying a wide variety of products and are characterised by end discharge capabilities. Depending on the requirements of the job, end tippers come in several construction choices, including grain tippers that come in both steel and aluminium, and dirt tippers built to withstand the harshest conditions in the North, while still offering slim tare weights. Utilising two large, purpose-built sandblasting and painting booths within the CQE workshop, the experienced blast and paint team ensure meticulous attention is paid to their workmanship and a quality finished product is delivered. The use of high quality two pack paint materials coupled with excellent application, ensure CQE blast and paint produce long lasting paint finishes second to none.a high standard. 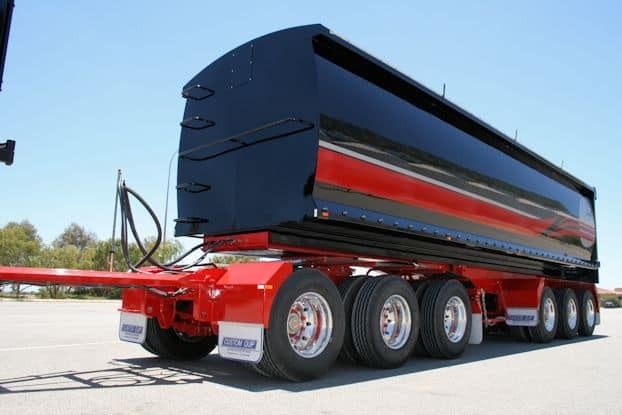 In addition to blasting and painting CQE trailers in house, a variety of external clients within the transport, mining and manufacturing industries also take advantage of this service. 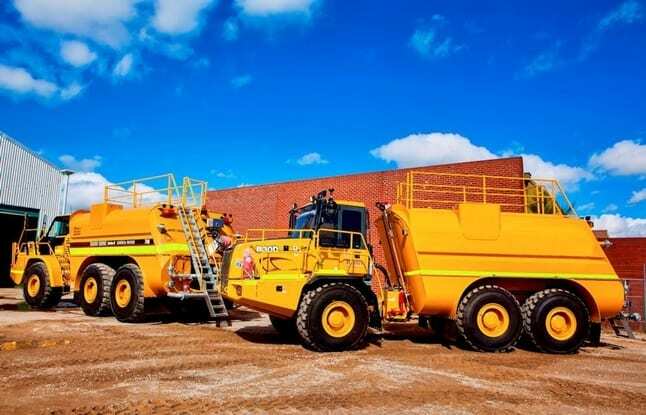 Jobs ranging from 120T refurbished side tippers to 11,000ltr-40,000ltr water carts (with internal and external finishing) are delivered regularly by the CQE blast and paint department. Understanding the importance of maintenance for equipment and longevity, CQE also offer a complete fleet maintenance and repair service. Qualified CQE tradesmen are available with extensive knowledge of hydraulic, pneumatic, electric and running gear functionality. In addition to the broad knowledge base our experienced team hold, CQE also has access to a wide range of spare parts and componentry at the right price, meaning their clients don’t waste time and money and most importantly can get back on the road faster.